Well hello to you my reader chums! A New Year means this new lipstick obsession of mine. 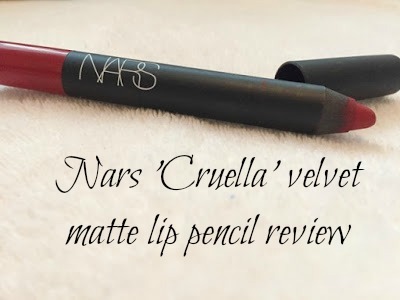 Nars has been a brand I've wanted to try for the longest time and finally got the chance when I received the 'Cruella' velvet matte lip pencil for Christmas. After being on my wish list for so long, without a doubt, it certainly lived up to the name. Packaging - Sleek, sophisticated and compact, the packing is to die for. I love the simplicity of the black tube with a pop of colour on the end to show the product's shade. Formulation - I couldn't fault this in the slightest. As the pencil is matte, you'd expect the consistency to be tough or the wear drying, however this isn't the case. 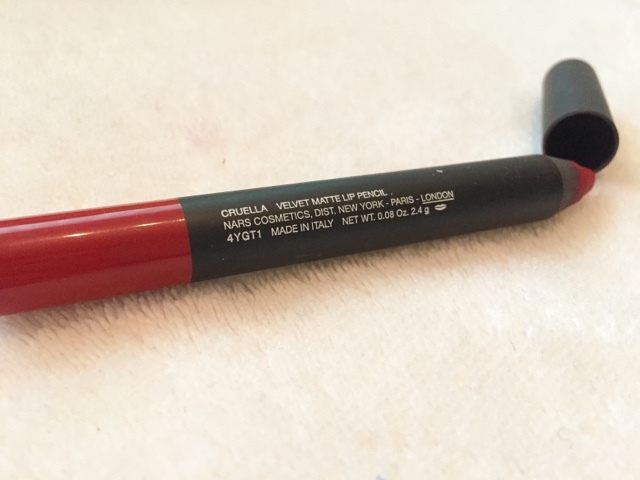 Upon application, the pencil is incredibly creamy on the lips. The soft formulation means it glides on easy without tugging at the lips or staining them. Pigmentation - If you love an intense and truly pigmented red, this is the lipstick for you. 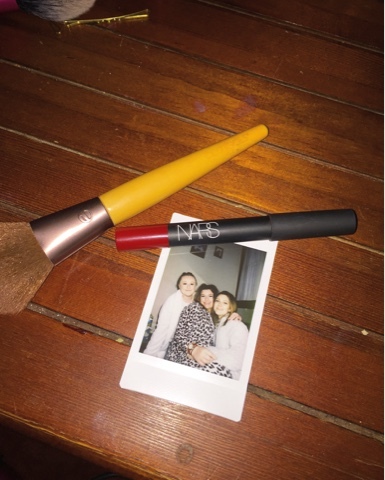 The shade's pigmentation is very similar to Mac's Russian Red only slightly darker and with a creamier formulation. 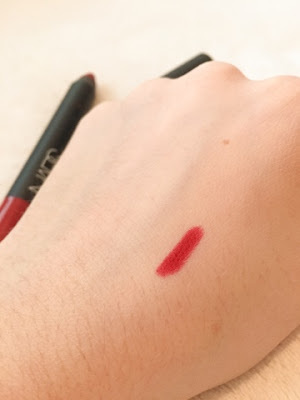 With one layer on the lips, the lip pencil gives a bold, vampy red, perfect to match any makeup look. It's the type of colour that suits a whole range of skin tones and can be worn on different occasions, whether it's an autumn day out or summer time ball. Lasting power - The main quality I look for in lipsticks is the lasting power, as no matter what technique I use, lip products seem to vanish from my lips. However, this Nars pencil is one of the most long-lasting lipsticks I've tried. Since it's a matte formulation, it'll pro-long the lasting power anyway in comparison to a gloss. After application and without the help of a lip liner, I'd say the lips pencil can last the entire evening. Through drinking and eating, there will be wear from the centre of the lips but ultimately the product clings on. It's the perfect red lip staple for any evening out. To sum it up: The intense pigmentation, creamy formulation and long-lasting power is faultless, I couldn't recommend it enough. If you're on the hunt for a new red lipstick and would like to treat yourself, this is for you. I hope you enjoyed this beauty review. Have you tried any of Nars' lip products? Love the look of this!! I love finding a matte product that is creamy!! Will definitely look into them!! Adore this shade so much. It looks like it's got a good formulation on it, -and I'm such a sucker for NARS. Thanks for the review on it! 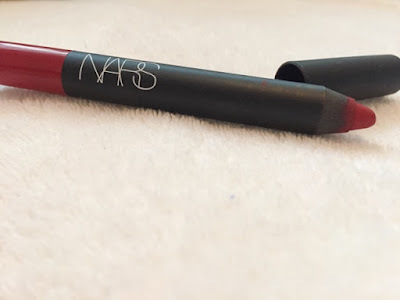 I'm obsessed with the NARS Velvet Matte Lip Pencils! I have Dolce Vita and Walkyrie, I definitely need to try this shade! Creamy matte lip products are my absolute weakness! Although I'm not a wearer of red, that shade is gorgeous. 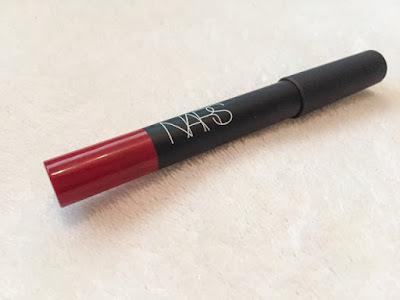 I've not tried Nars before but like you, it's on my to try list! Maybe 2017 is the year! That looks stunning! I love the colour too and I might have to get one of these! 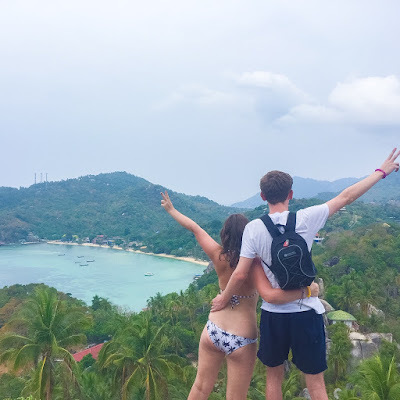 love this post hun! This looks like such an amazing colour! I'm yet to try any NARS products yet!! I dont really wear bright reds but I might give this one a go! This is seriously my all time favorite red! I love how matte and beautiful it is! To spice it up for a night out I like to press a little gold pigment on the center of my lower lip for some shimmer! I love a good red lip and this looks like it'd be right up my street! Weirdly enough, I've never tried nars.